With the exception of Green Lantern, superhero movies adapted from DC Comics have largely relied on the popularity and visibility of only two of their characters: Batman and Superman. Beginning in 1966, with the Batman movie based on the campy TV show, and onward through Christopher Nolan’s The Dark Knight trilogy, the caped detective and crime fighter has been on ardent display for the masses. The same goes for Superman, who made his first film appearance in 1978 in a self-titled movie. Now, with the release of David Ayer’s Suicide Squad, this marks a turn for DC Comics and their live-action films in their sudden boldness in relying on other characters to be the faces of their brand. It also speaks to the DC Extended Universe (better known as the DCEU), with its progression in adapting other characters and finally taking a risk on less visible ones. Suicide Squad, about a group of villains-turned-agents under the command of a sinister government agency run by antihero Amanda Waller (played by Viola Davis), is the first comic book adaptation to be based on the villains and not the heroes. Everyone and their mother (and grandmother) knows who Batman and Superman are at this point. Their stories have been told and retold… and retold again. After a while, it becomes tiresome. I mean, how many times do we have to watch their origin stories play out? And as much as I love them as characters, there is nothing relatively new that hasn’t already been done. Now, however, this is changing. Batman v. Superman: Dawn of Justice first teased the arrival of the Justice League, which will include Wonder Woman, The Flash, and Cyborg. Justice League will mark the first time that one of DC’s most popular team of superheroes will be appearing together onscreen. It’s also the first time the three aforementioned characters will appear in a movie and then later in their own solo ventures. Before next year’s Justice League, Suicide Squad will take front and center and will also take place within the DCEU. The film includes the following villains: Deadshot (Will Smith), Harley Quinn (Margot Robbie), The Joker (Jared Leto), Boomerang (Jai Courtney), Diablo (Jay Hernandez), Killer Croc (Adewale Akinnuoye-Agbaje), Enchantress (Cara Delevingne), and Rick Flag (Joel Kinnaman). Besides The Joker, none of these villains have ever appeared on the big screen. Deadshot has appeared on Arrow and The Flash (played by Michael Rowe), both a part of the DCTV universe, but the entire cast of characters remains largely unknown to mainstream audiences. This is a big risk DC, and by extension Warner Bros., is taking. To rest an entire movie, set in a larger universe, on the shoulders of characters most have never heard of, and villains at that, isn’t guaranteed to be a hit. It’s why DC has mainly kept the focus on Batman and Superman, the assured money makers. It worked for Marvel with Guardians of the Galaxy, but at the same time, that group of characters were still loosely heroes. In addition, DC has a lot of catching up to do when it comes to building a shared universe. Part of why they’re moving toward a team movie, which honestly should have happened long before now, and then separate solo films is because Marvel has proven that it works. It’s proven that a mainstream audience can invest time and money in watching these films and new characters. A little bit of the risk is alleviated by the success of the DCTV universe. The CW’s The Flash, Arrow, Legends of Tomorrow, and Supergirl are all a part of a shared universe and are generally well-received. Gotham, while not in the overarching TV universe, has also proven successful. So with all these factors contributing to the possible success of Suicide Squad, and by extension, the larger DCEU, it isn’t hard to see that DC’s boldness could pay off and the reasons behind their sudden progress. The DCEU may not have gotten off to a great start with Batman v. Superman, but it has the potential to go a long way. We’ve long been obsessed with the idea of heroism, of people using their abilities to help, to find goodness in humanity, etc. 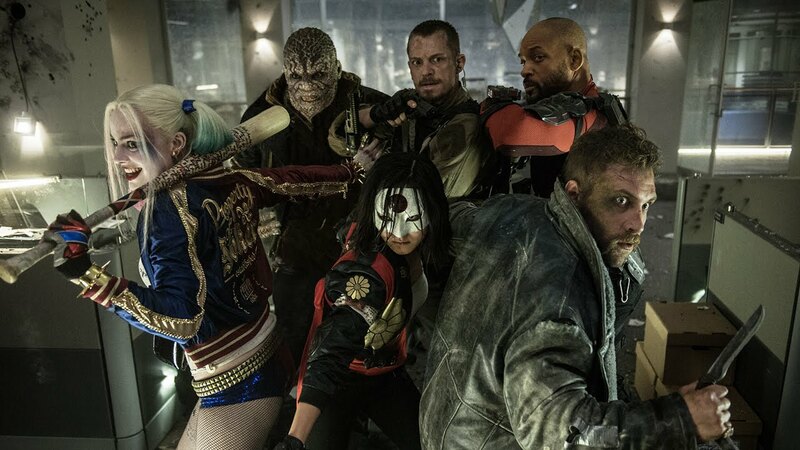 Suicide Squad’s focus on the proverbial antiheroes, who are by far some of the loosest cannons in the DC Comics universe, is a huge step away from the superhero setup we’ve all become accustomed to. They are pretty much the exact opposite of what the Justice League stands for and by giving them their own movie, DC has planted a flag. A very confident flag that has the potential to thread its way through DC’s planned future ensemble and solo films. It opens a door for other stories and characters to be more easily adapted to the big screen. For now, Batman and Superman are still at the forefront of this new journey, but Suicide Squad is proof that DC Comics is finally ready to move forward, be bolder in their story choices, and take a chance on new and lesser known characters in order to expand upon their universe. Next ArticleTV Review: Steven Universe 3x14 "Monster Reunion"